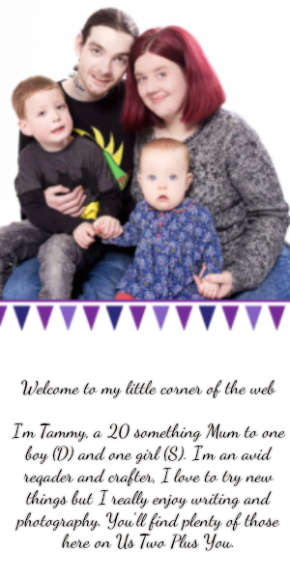 I've written a few times in our old adventure's this week posts and none of our attempts to start potty training really stuck but we are well on our way now and I think it's time we shared our journey through the start of potty training. At the start of potty training D point-blank refused to use his potty even though he had picked it out! He didn't like it and would only sit on the potty as a seat. He had a few accidents and once they happened he would just cry and cry because he was wet. Once we had cleaned up he did calm down again but for the first day or two that was all we got! Things changed when we had an incident which I am going to forever refer to as the bum chocolate incident! D had never seen his own poo before. Actually he'd only seen dogs poo until we started potty training and when he did his first poo without a nappy he was still refusing to use the potty. I have no idea how he managed it as I was in the kitchen and Simon had run to the bathroom quickly but I walked in to D holding up his poo like a trophy with the most horrified face. He told me " Mummy, There's chocolate coming from my bum!!". My first reaction was to laugh, I just couldn't help it. I thought something was really wrong when I seen his face and the minute he said chocolate coming from my bum it just slipped out. Thank goodness that he hadn't tried to eat the bum chocolate! We cleaned him up and the chair where he had actually had his poo while I explained that poo is normal and it is not chocolate. I told him he can never eat poo just to be safe. He was quite inquisitive about poo and wanted to know why it happens. After we had a chat about all thing poo. (Not something I thought I'd have a pretty long conversation about with my 3-year-old.) We had a little chat about using the potty and why he needs to try his best to use the potty when he needs to go to the toilet. I told him how the potty stops his pee and poo going on the floor or the chairs and that I can empty it out when he is finished, ready for the next time. 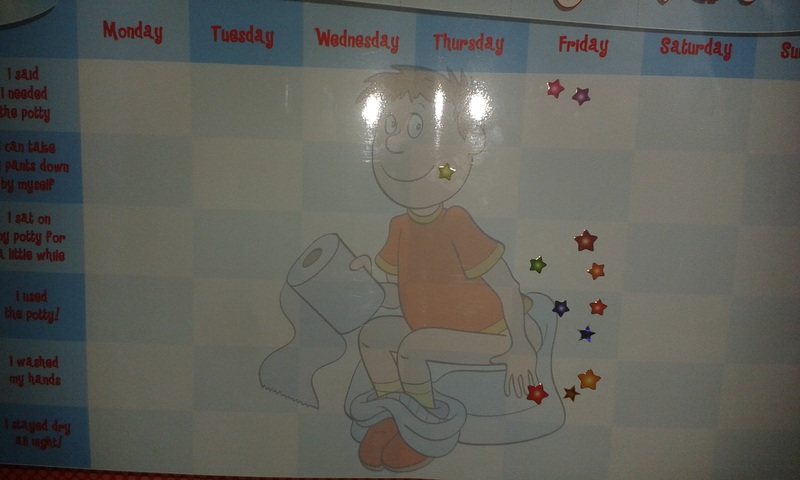 Later on that night I talked to Simon about getting a sticker chart for potty training. D loves stickers and I thought he would try using the potty if he knew he would get a sticker when he did. So the next day we where in town and he picked out a few packets of stickers to use on the chart I found. Once we got home we put them up on the door and took off D's trousers and nappy. It had worked. The first time D went in the potty he had sat there for a while until he went. Once he had gone in the potty he seemed to be fine the rest of the day but come the next morning when his nappy came off he would sit on the potty for around 20 minutes until he went. We never figured out why but he could have just been reminding himself what it felt like to need to go. Whatever the reason it worked and we went from having accidents every time to having maybe one every few days if he couldn't get to the potty fast enough. It felt like a miracle! For the next week D was quite happy to be nappy free at home during the day. We had been out shopping and I asked D if he would like to go pick out some pants or boxers for us to get. In the end he couldn't decide and we bought one pack of both to start us off. He was still wearing nappies outside and through the night so when we where popping to the shop one afternoon we simply put a pair of pants on him and walked down together when we got home D was still dry and had needed to use the potty. After a few days of walking to the shop and coming back still dry we braved going a little further for a little bit long and we popped out to do our weekly shop. I knew there was toilets there and that if he really did need to go he could use them with some help. We managed to get our shopping done and almost home before D said he needed to go and honestly I think it was the fact we where almost home and he knew he could use the potty once we got there. From that point on D wore nappies at bed and on a Thursday when we where out almost all day. It was around this point that D started telling us he didn't want to wear a nappy to bed but wanted to keep his pants on. There is a section on his sticker chart for staying dry all night but I wasn't sure that we where ready for bed time potty training and we said no. He asked every night to keep his pants on and after a few days we all agreed he would try it for one night and maybe he will stay dry and even if he didn't he would stop asking for a while. He usually did have a dry nappy when he was woken up and would go a little while after he was awake. I had got some pads to put on his bed just in case he did have an accident but he stayed dry! All night long and he went in his potty the next morning. He's been wearing pants to bed since then and has only had 2 accidents however they weren't really night-time accidents more like early morning accidents where he was trying to get to the potty but couldn't hold it in. I went in to his room to empty the potty and he had made a tail of pee from the edge of his bed to the potty. It has now been almost 2 weeks since that last happened! The final stage of getting nappy free for us was about 2 weeks ago when we went to nannies armed with our potty and some changes of clothes. D did brilliantly and only needed to use the potty once we got there and before we left. He stayed dry and has now been completely nappy free for 2 weeks! 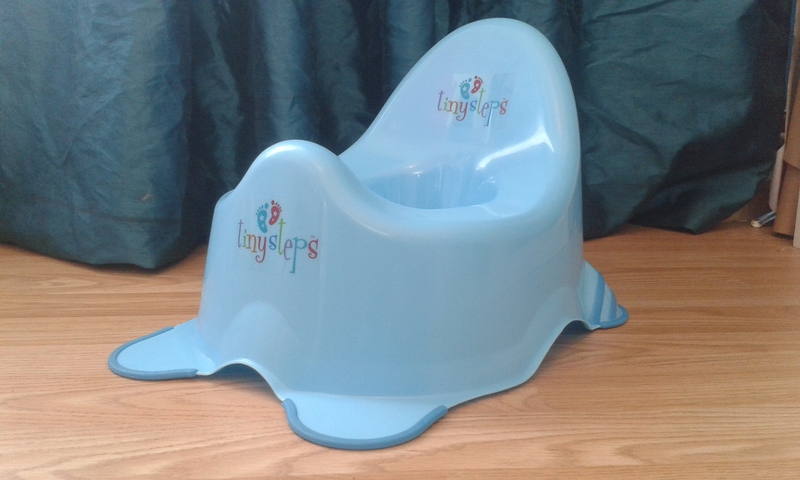 Up to last week we had the potty in the living-room and in D's bedroom at night with some potty training wipes which where flush able. He would wash his hands with a wipe too. Once we knew we had the potty training going well we moved the potty into the bathroom and D has quite happily went up stairs to use potty. He uses toilet roll once he is finish and cleans his hands with soap in the sink. For the first few times I would wash my hands with him and let him see how to wash them properly. I've actually caught him emptying his potty once or twice into the toilet before washing his hands! He loves to be independent. I hadn't expected potty training to be so quick! 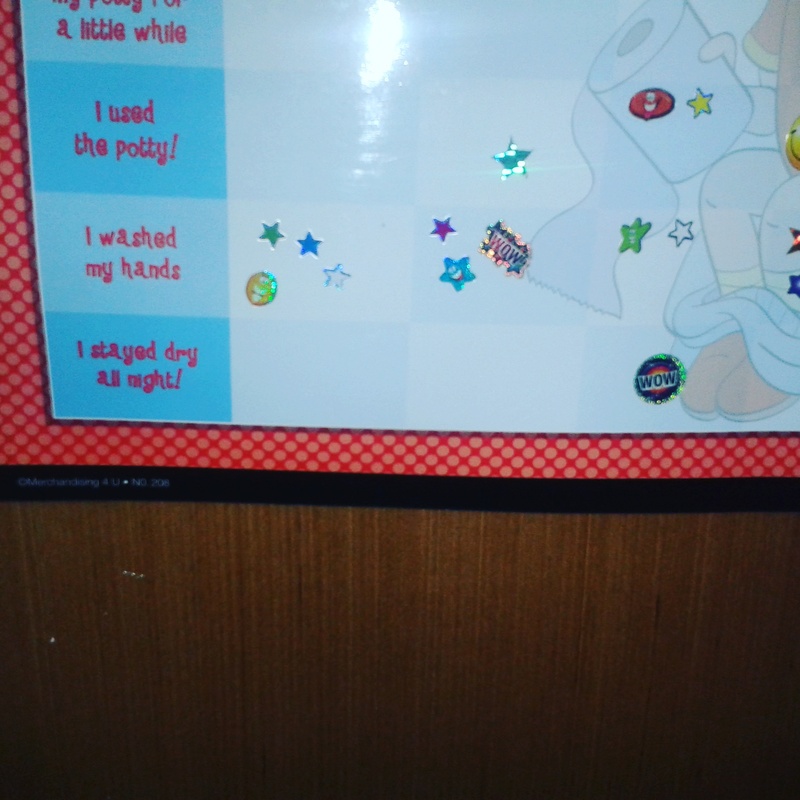 We got our sticker chart on the 15th of April and D has done so well. I know it won't be long before he decides it is time to toilet train but for now we are enjoying the fact we have no more nappy changing to do! We will be getting a portable potty very soon too. Are you potty training? How is it going? We would love to know!